The August Smart Lock Pro + Connect Package provides a complete smart locking solution to a user's door. This package includes the Smart Lock Pro and the Connect WIFI Bridge for achieving complete smart home functionality for the device. Purchase the August Smart Lock Pro + Connect here. The August Smart Lock Pro with Connect provides a complete door lock solution for users looking to achieve a smart home setup. With the included Connect WIFI Bridge, a user will be able to lock or unlock the door from almost anywhere in the world. Users are sure to love the Smart Lock Pro. The remote connectivity makes the Smart Lock Pro perfect for letting in your kids or visiting friends while you are away. It is also great for making sure that you properly locked your doors before leaving the house. When the user is on-site, they can operate the lock wirelessly using Z-Wave or BlueTooth. By setting up the lock with a user's phone through BlueTooth, the lock can be set up to unlock automatically when they arrive home. The user will also be able to operate the lock using voice commands sent through Apple HomeKit, Amazon Alexa and Google Assistant. And by using WIFI, they can even integrate the smart lock with services and platforms like Nest, AirBnB and HomeAway. The lock itself is easy to install, and it can effectively replace any single-cylinder deadbolt. The Smart Lock Pro uses Z-Wave Plus technology for local on-site control. This gives it superior range and more reliable connectivity when compared with traditional Z-Wave devices. 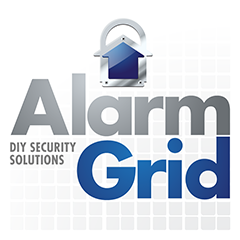 As a Z-Wave Plus device, it can connect with compatible alarm systems. This will allow it to be controlled from the panel or using an associated interactive service platform like Alarm.com or Total Connect 2.0. Please note that the Honeywell Lyric Alarm System must be running firmware update MR7 or higher to support this Z-Wave lock. How Do I Connect My August Smart Lock Pro with the August Home App?